Each year, over 5,000 teenagers die in motor vehicle crashes, the leading killer of American youths aged 16 to 19, accounting for more than 40 percent of fatalities in that age bracket. To reduce this number, Tire Rack Street Survival has developed a non-profit, national driver education program aimed at teaching teens the skills they need to stay alive behind the wheel. 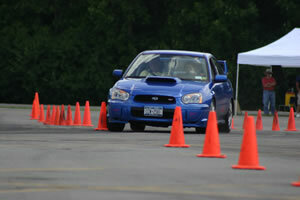 The goals of the Tire Rack Street Survival program are to teach students some of the basics of car control, to enhance their enjoyment of driving and to improve their competence as drivers. We want the students to understand how their actions govern a car’s responses, and as a result to become safer, more effective drivers on the road. 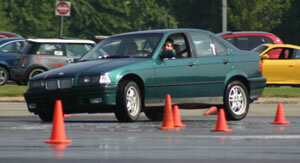 In April 2002, the BMW Car Club of America Foundation launched the Tire Rack Street Survival® teen driver education program intended for teens and young adults. This one day program, specially designed for any and all new drivers, teaches students to avoid accidents by thinking and looking ahead. The Street Survival® program is unique in that it offers students instruction in their own cars so that they learn the limitations of the vehicle they drive daily under varying road conditions. Qualified instructors ride with students during the exercises to provide supervision and more personal instruction. In addition, students receive classroom instruction on car control topics and participate in discussions about their in-car experiences. Please visit www.streetsurvival.org to learn more about the Tire Rack Street Survival® program.